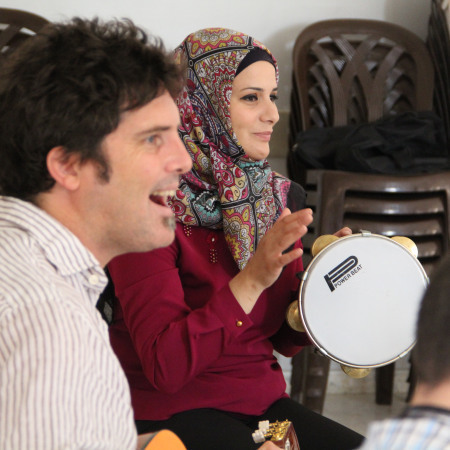 In 2015, ABCD in conjunction with the University of South Wales set up a Music Therapy placement at the Bethlehem Arab Society for Rehabilitation (BASR). This proved a wholly successful project. ABCD has repated the placement this year to great success but sadly, without the University of South Wales. Click here to read more about ABCD's ongoing support of ABCD.